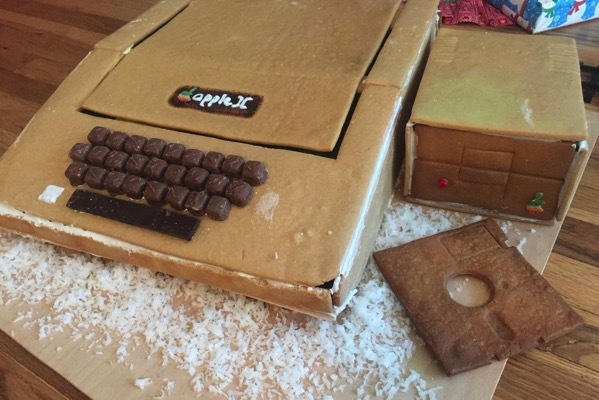 HaHaBird’s Nathan Pryor, who’s 9 year old son is a huge fan of his old Apple collection, made a gingerbread Apple II computer for his son on Christmas this year, complete with a chocolate keyboard and an edible floppy disk. He used the original Apple II from his collection to get the exact measurements. The keys on the gingerbread version were made with Milky Way minis, while a chocolate bar was cut up to make the space bar and the chips on the board. 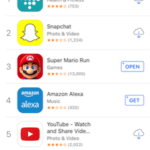 “You can’t see it in the pictures, but there’s a Reese’s Peanut Butter Cup as a speaker down below the keyboard; Red Vines make great wires for the power supply; and our favorite find while browsing the candy aisle were Airheads sour rainbow belts that we used for the Apple logos and for the ribbon cables”. 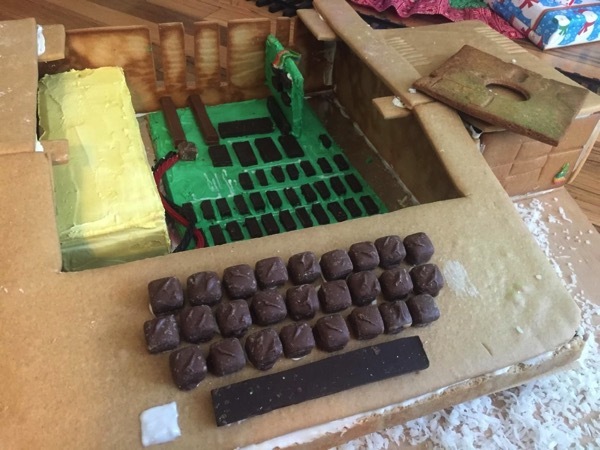 Well, if you guys are looking for a Christmas challenge, why don’t you make your own gingerbread Apple computer?